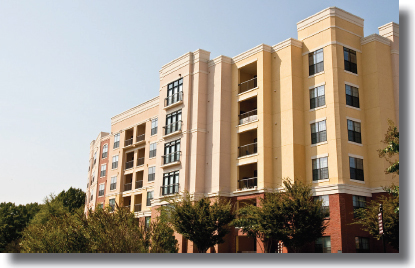 A CMS client acquired a 365-unit multi-family facility on the Midwest in July, 2008 (just before the crash). The property was in severe financial distress and running at a negative cash flow of $20K per month. The mortgage was a credit union loan and the interest rate was 6.5%. Furthermore, payments were just beginning to amortize – worsening cash flow to a negative $40K per month. Ownership objectives were 1) to reduce debt service to an amount that would eliminate the need for cash calls and allow the property to weather the economic downturn, and 2) maintain ownership and control of the property. 1. Year 1: 2% Interest-only payments plus a $900K Principal payment. 2. Year 2: 2.5% Interest-only payments plus a $875K Principal payment. 3. Year 3: 3.25% Interest-only payments plus a $700 Principal payment. The above payments represent a $2.8M savings over the 3-year modification period. Credit Unions are regulated by the National Credit Union Administration (NCUA) and have their own set of lending and reporting guidelines. CMS accessed a business partner that specialized in credit union lending and assisted in the formulation of a proposal to the lender that met NCUA guidelines. This approach established CMS as an expert party and accelerated the negotiation process significantly, saving our client valuable time and money. Understanding the lender’s objectives and constraints are always conducive to a successful resolution. Sometimes even specialists need specialists to field the best team possible for a negotiation.